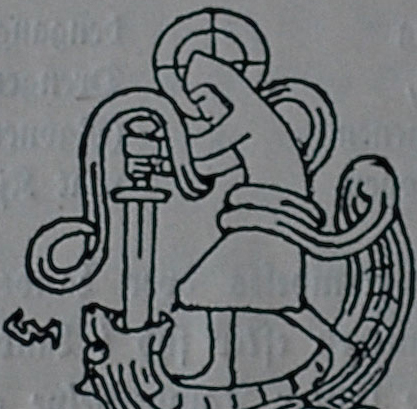 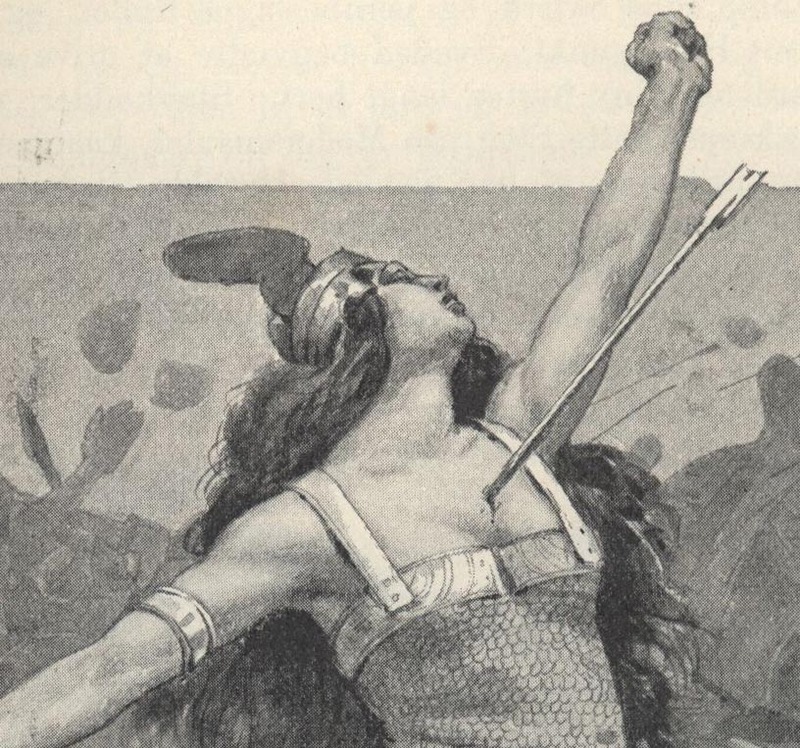 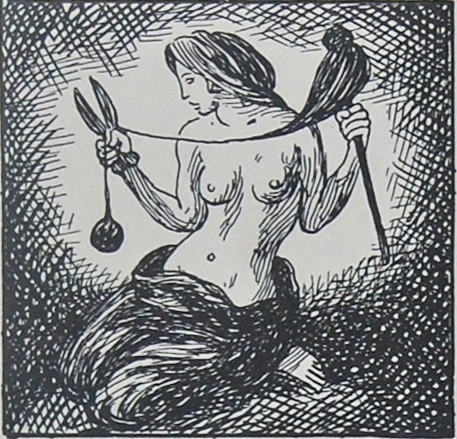 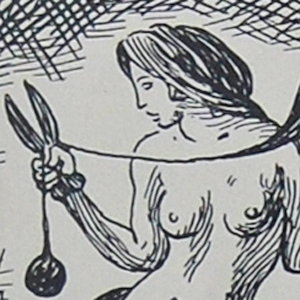 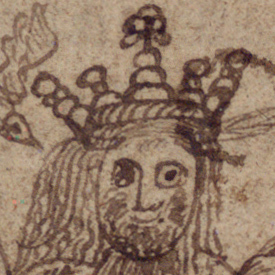 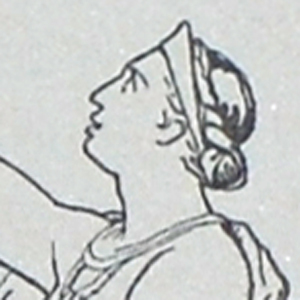 Description: A norn who is about to cut the thread that she has been spinning from a distaff. 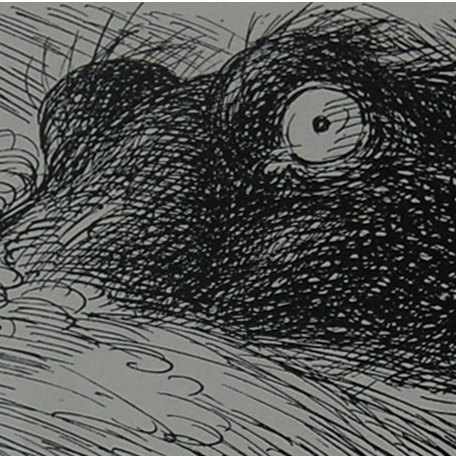 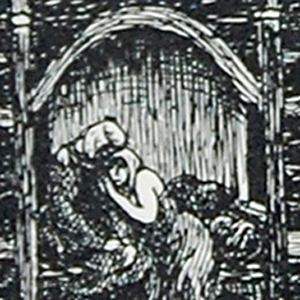 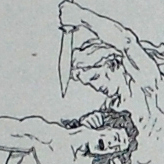 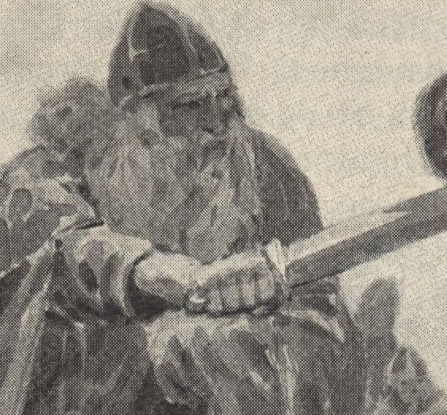 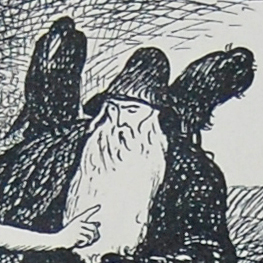 This scene is from Louis Moe's Ragnarok: En Billeddigtning. 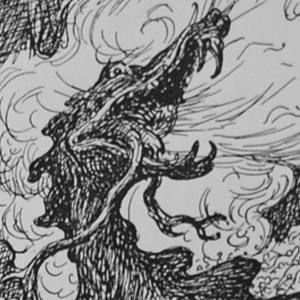 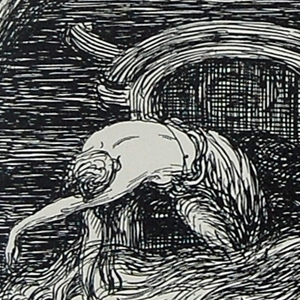 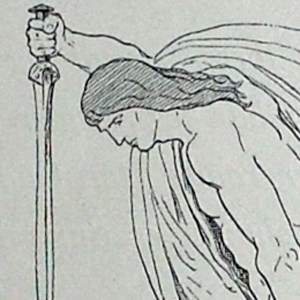 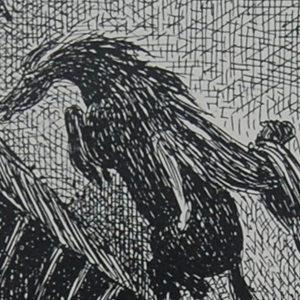 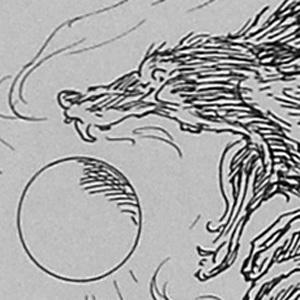 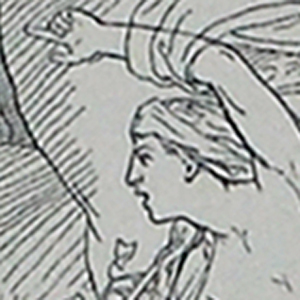 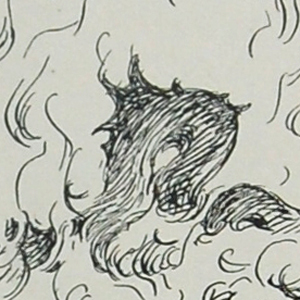 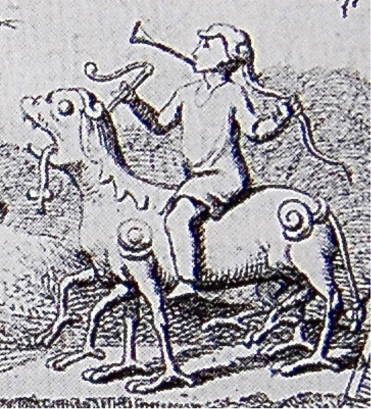 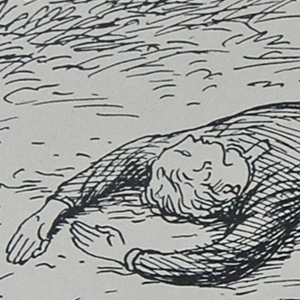 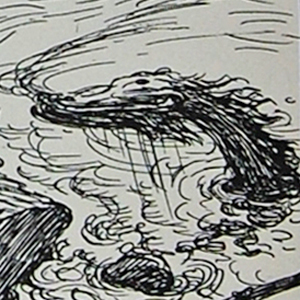 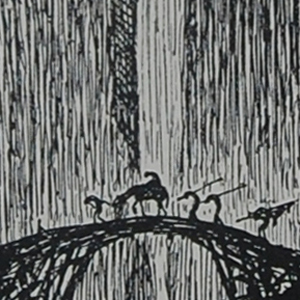 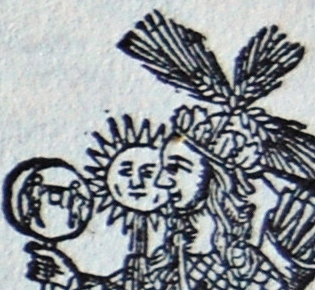 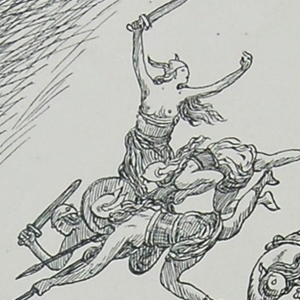 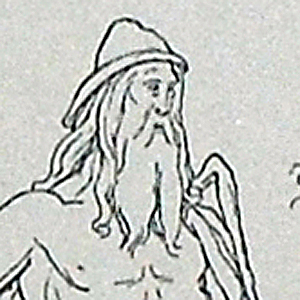 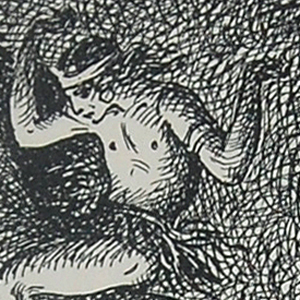 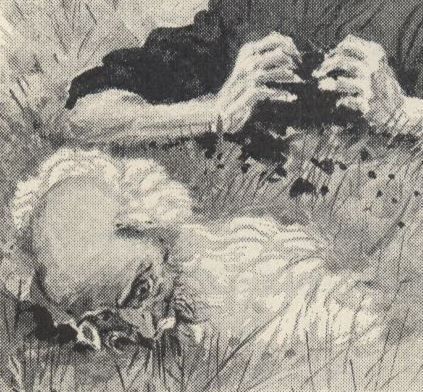 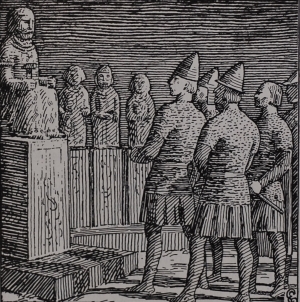 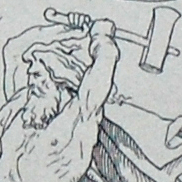 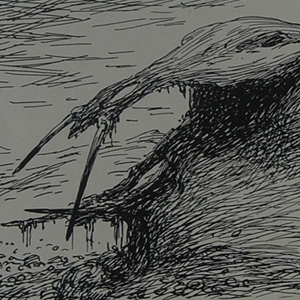 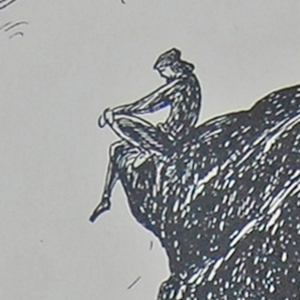 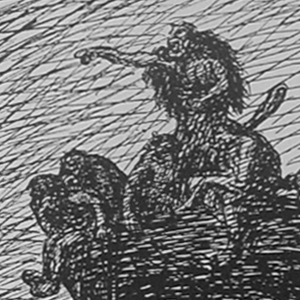 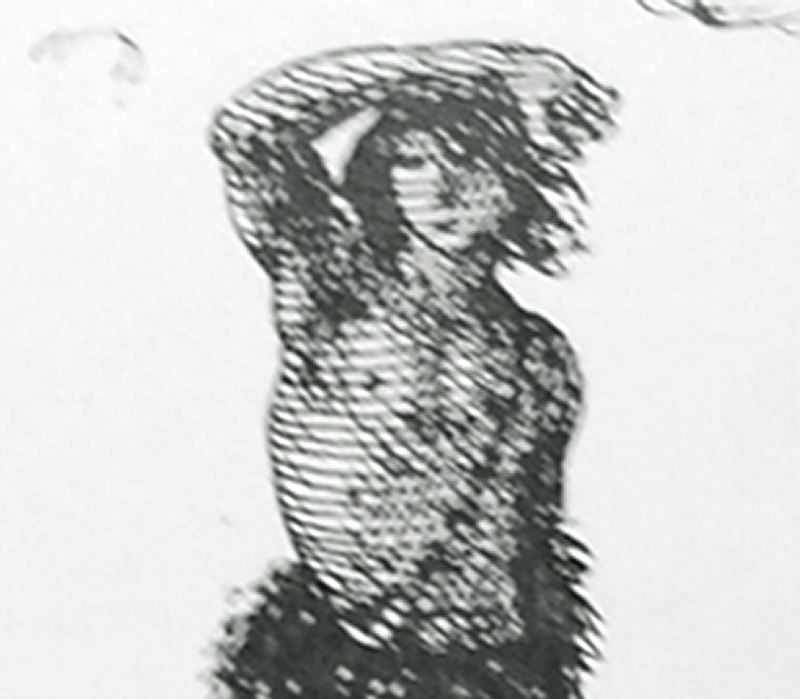 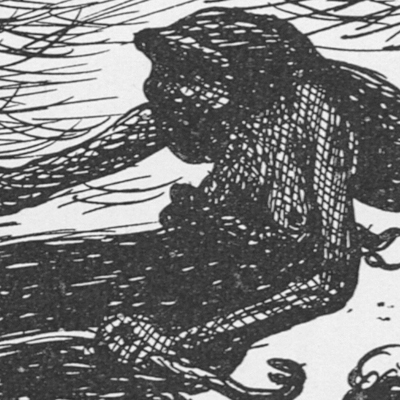 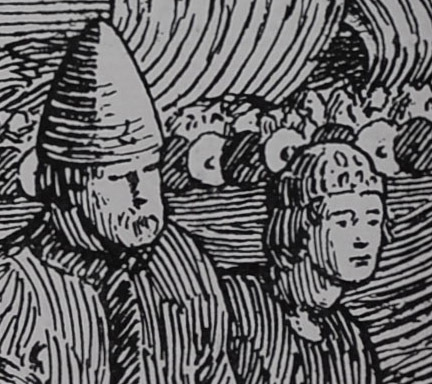 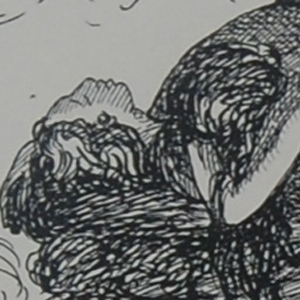 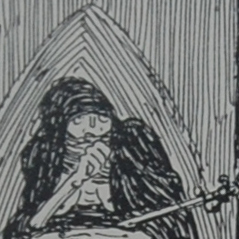 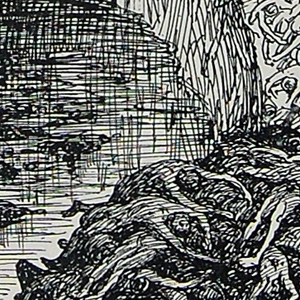 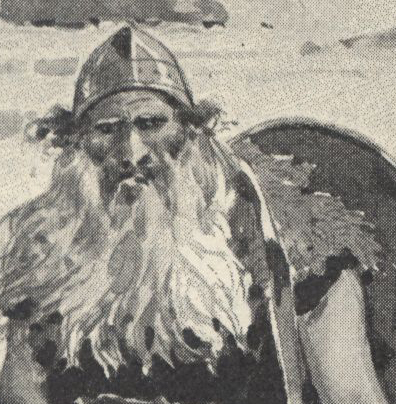 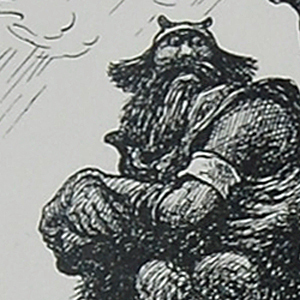 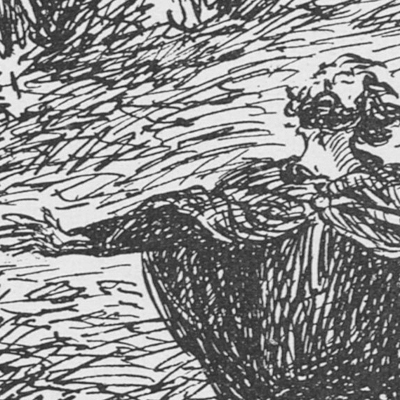 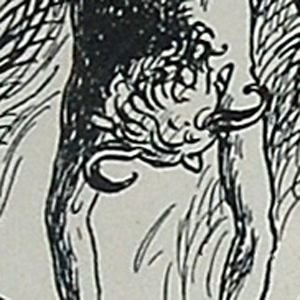 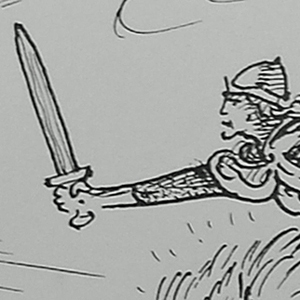 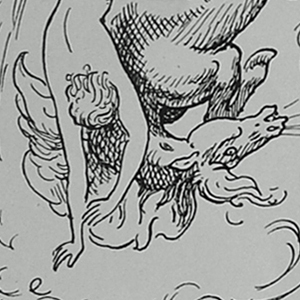 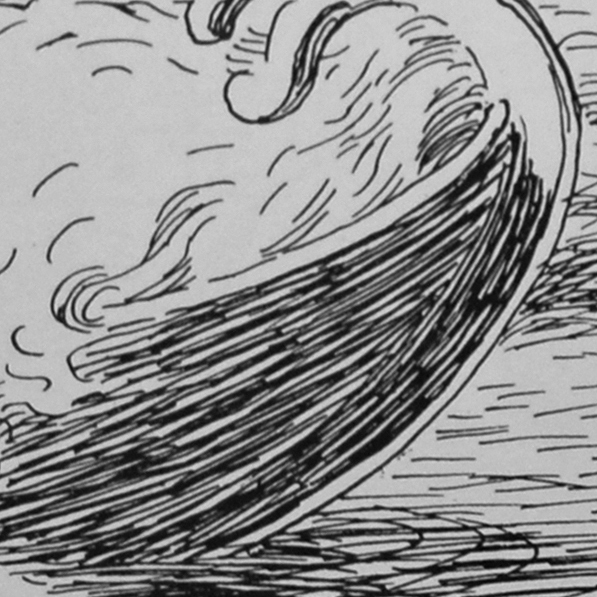 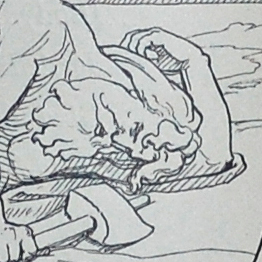 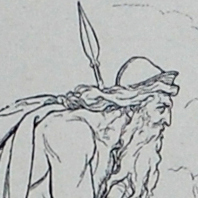 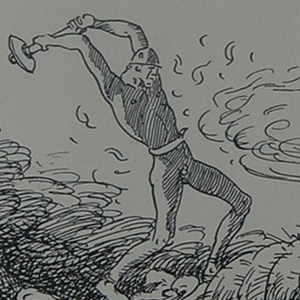 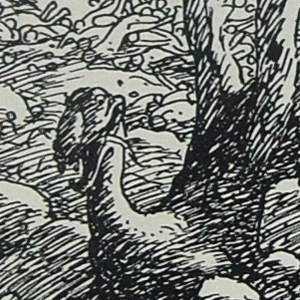 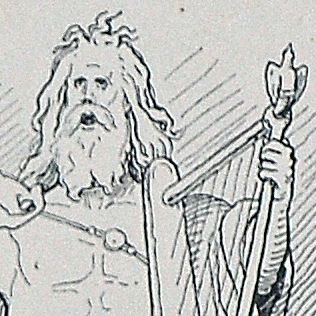 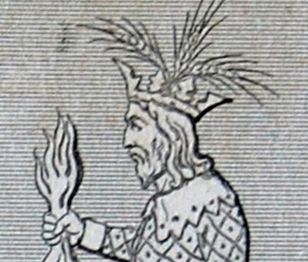 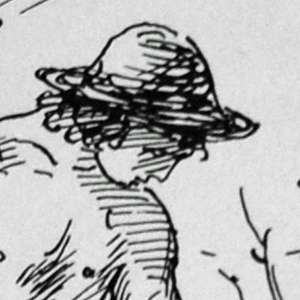 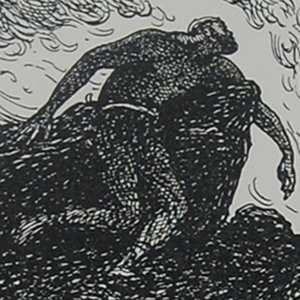 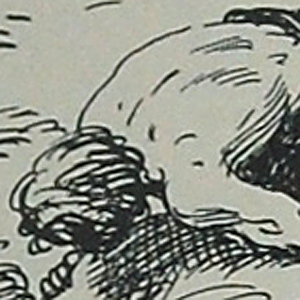 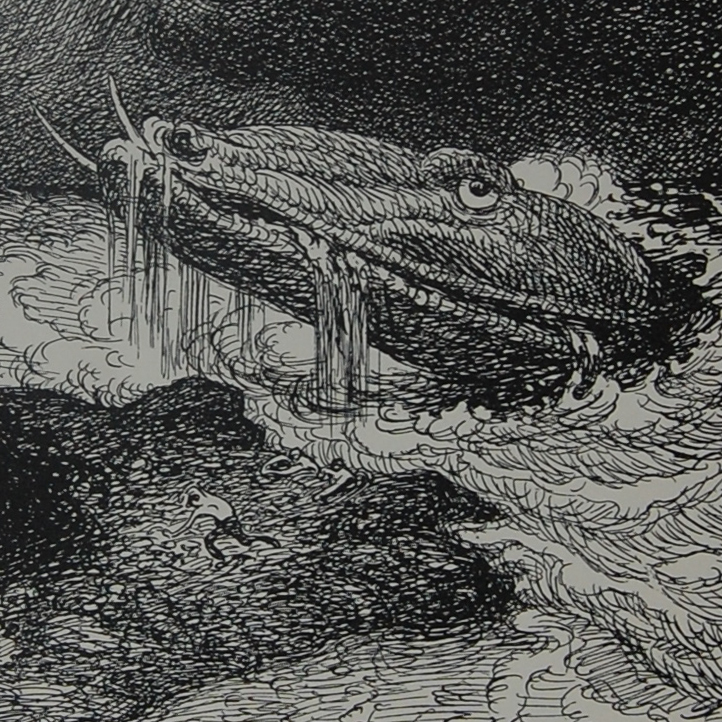 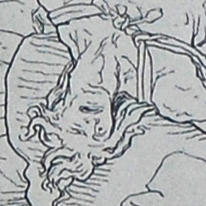 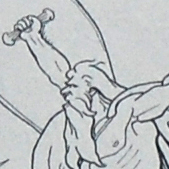 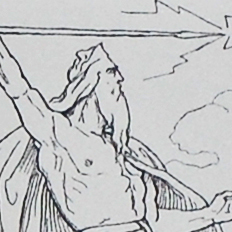 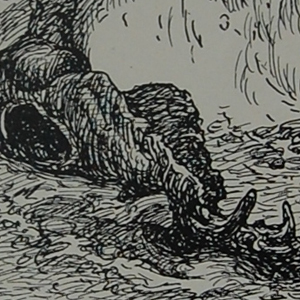 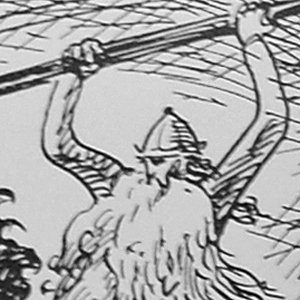 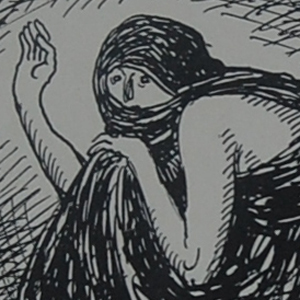 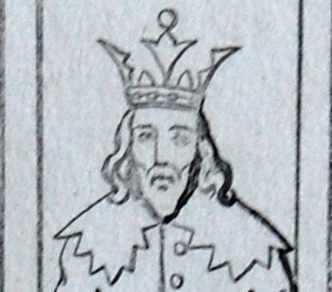 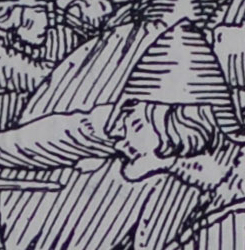 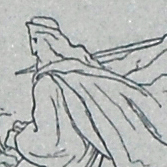 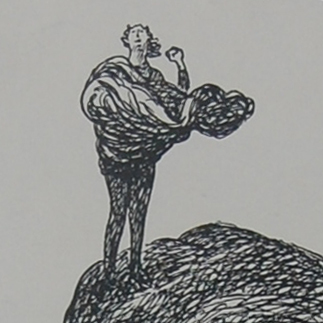 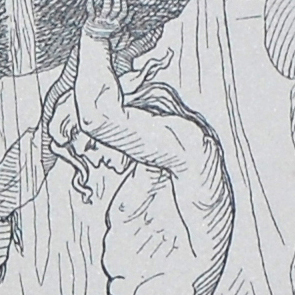 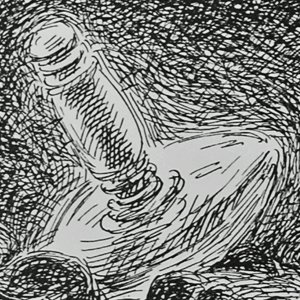 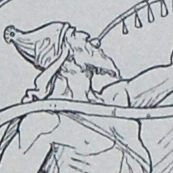 Some of the illustrations in Ragnarok: En Billeddigtning have two digit numbers, along with Louis Moe's name, within the illustration. 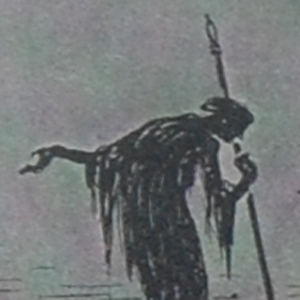 This one does not have a number. 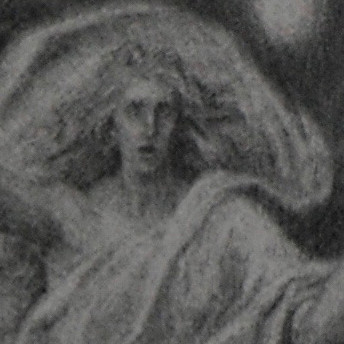 norn A norn was a female spirit who was associated with destiny or fate.